An abandoned classroom in the twilight, only fragments of memory light it up. 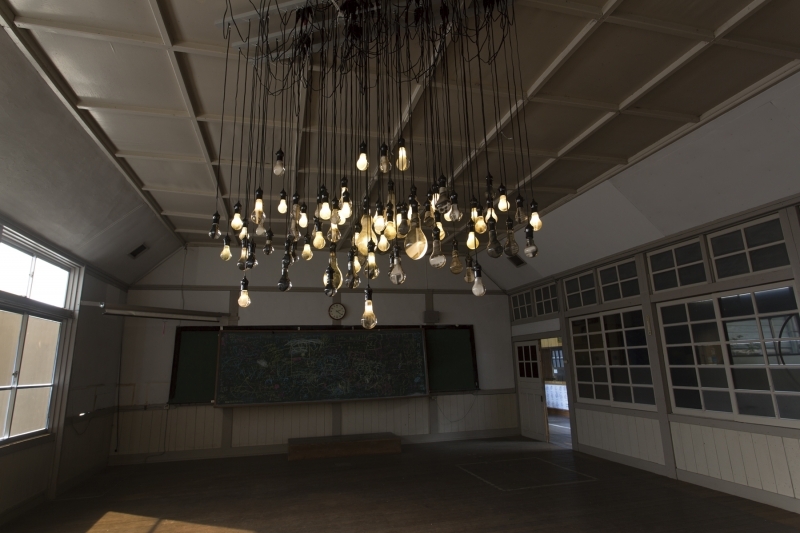 A group of hanging light bulbs contains pieces of an old photograph of The Former Daisan Elementary School. 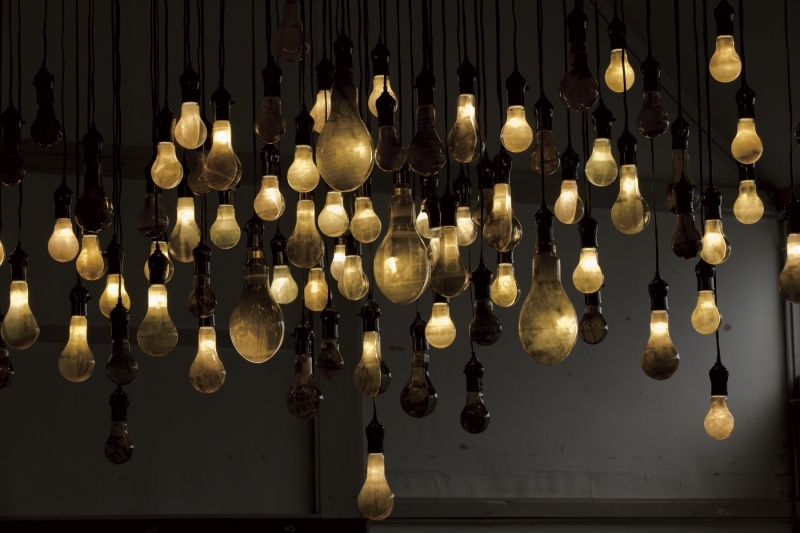 The audience affects flicking light in the bulbs, through the building. Our sight is shut off forcibly by the blink; we can hardly imagine the whole image. If once we find where the photograph is taken from, we also find out a one of the turning points, that are looking / expose, taking a photograph / be photographed and past / now. Every information media come with the receiver’s interpretations and misunderstandings. While accepting the interpretations, we are possible to keep distance from the subjective view. I intended to make the sight of the installation let us be shaken and shaken back between abstract world and reality. I created a possible space that generates such an endless dialogue. 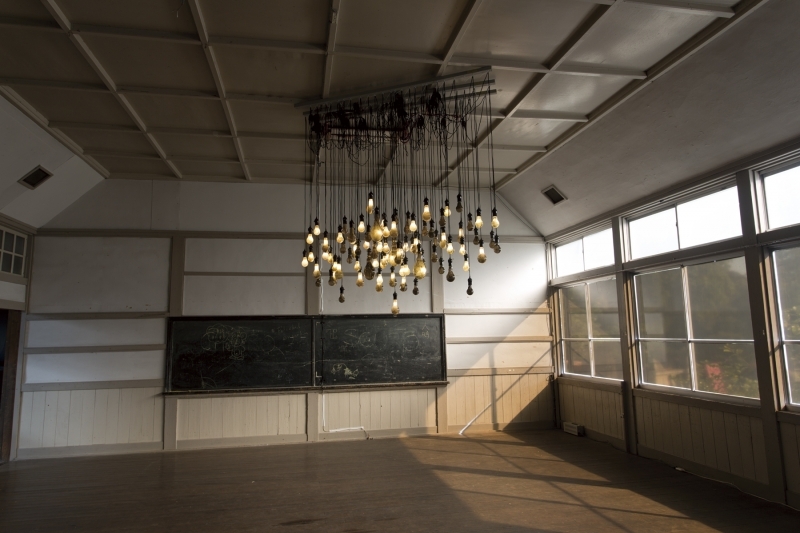 Various directly‐opposed ideas in this artwork: time and space, system and human and architecture, similarities between light bulb and eyeball, positional relation between audience and photographer, continuity or discontinuity between inside and outside. 2019 © 村上 郁｜MURAKAMI Kaoru. Crafted with love by SiteOrigin.